Bouncy and easy to play with, the Dunlop Fun Mini Squash balls are great for learning the basics and gaining confidence on the court. 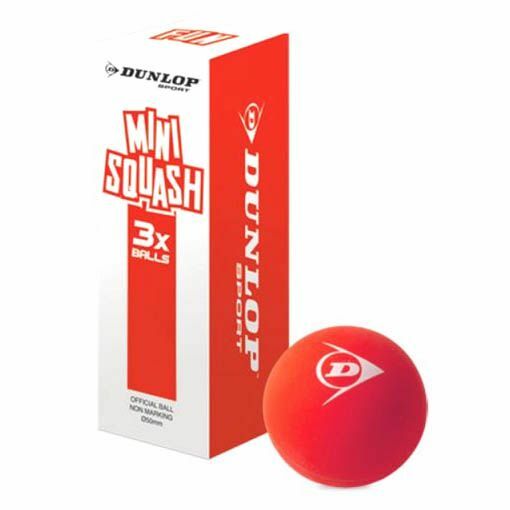 These oversized balls feature a diameter of 60mm (2.4”) and have been designed for use within the stage one of the Dunlop Mini Squash programme. Thanks to a higher bounce and a slow speed, they give kids more time to be able to play their shots. The balls are best suited to children aged 5-7 and they are supplied in a pack of three. for submitting product information about Dunlop Fun Mini Squash Balls - Pack of 3 We aim to answer all questions within 2-3 days. for submitting product information about Dunlop Fun Mini Squash Balls - Pack of 3. We aim to answer all questions within 2-3 days. If you provided your name and email address, we will email you as soon as the answer is published. Good balls. Exactly what my daughter needed. for submitting product review about Dunlop Fun Mini Squash Balls - Pack of 3.